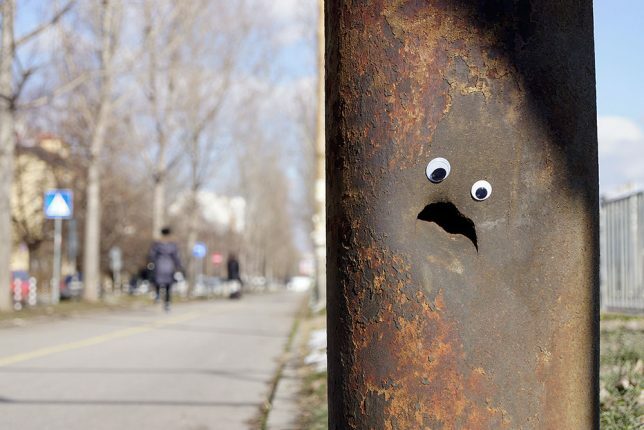 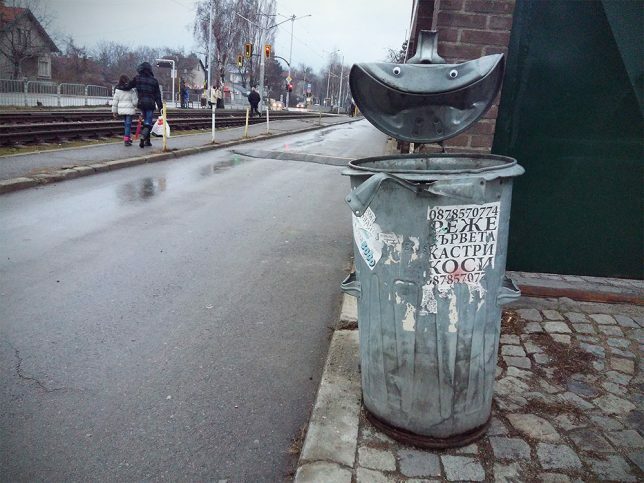 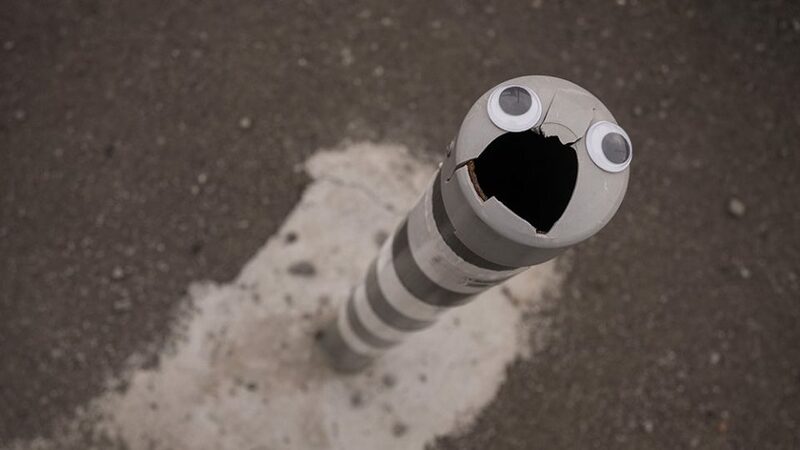 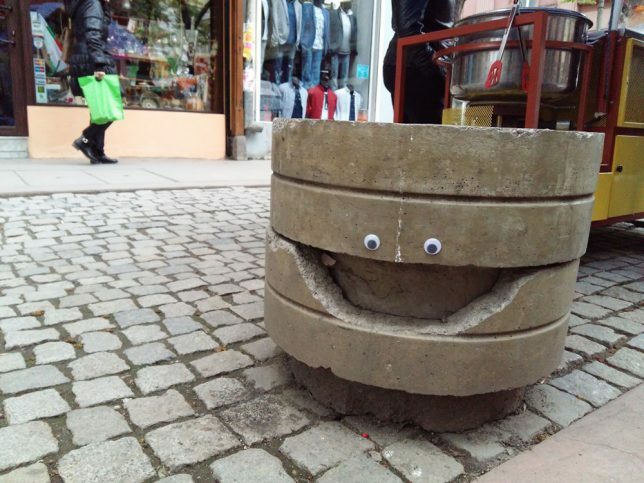 As public art interventions go, googly-eye additions to urban objects and surfaces are pretty simple to implement, effectively animating their surroundings without too much work (or risk of being caught). 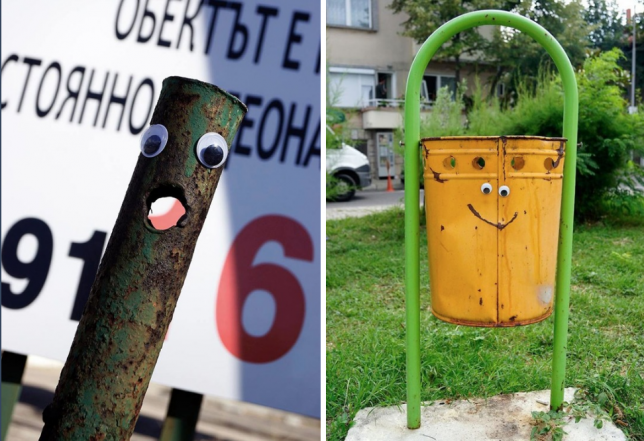 Humans are naturally wired to read faces into ordinary things, but an extra cue or too by someone like Vanyu Krastev solidifies the effect, often with hilarious results. 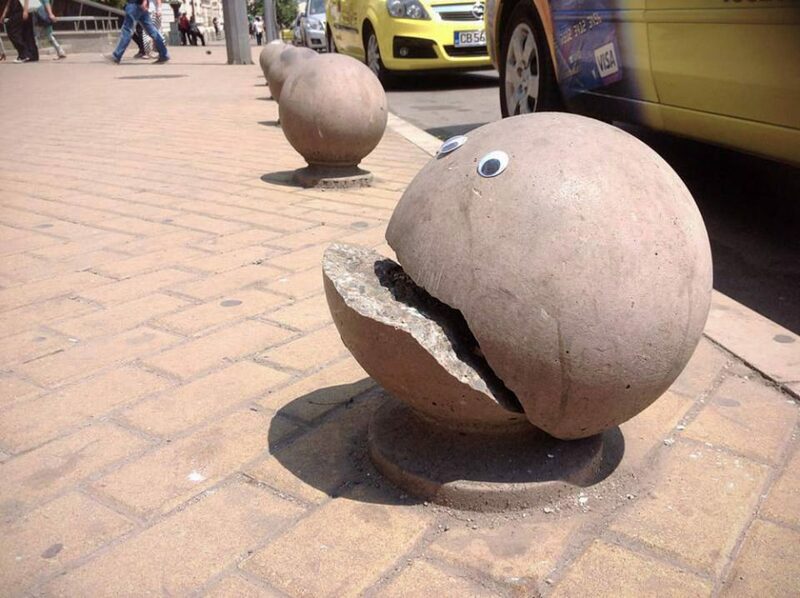 Cracked bollards become crooked Pac Man-esque creatures and gaping water pipes seem to scream while doors and garbage cans gain strange sentience. 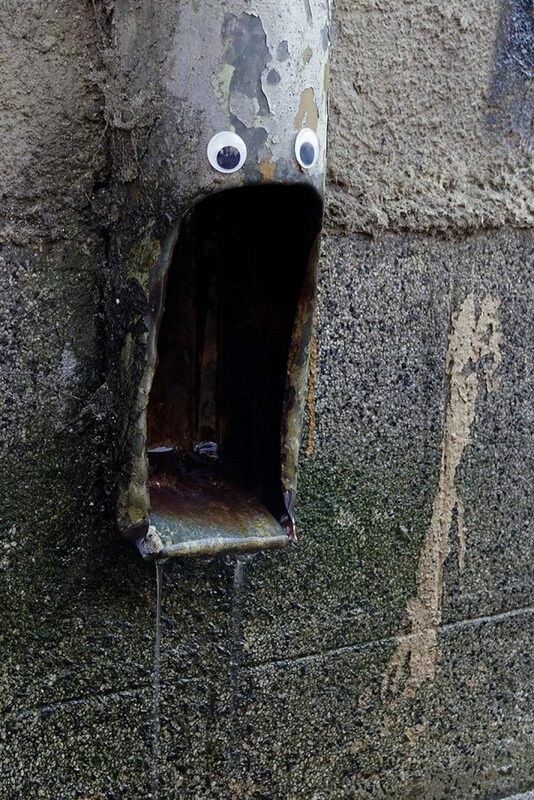 The emotive range of these inanimate objects is quite impressive, considering it’s entirely in the eye of the viewer (and the two eyes placed on a given thing). 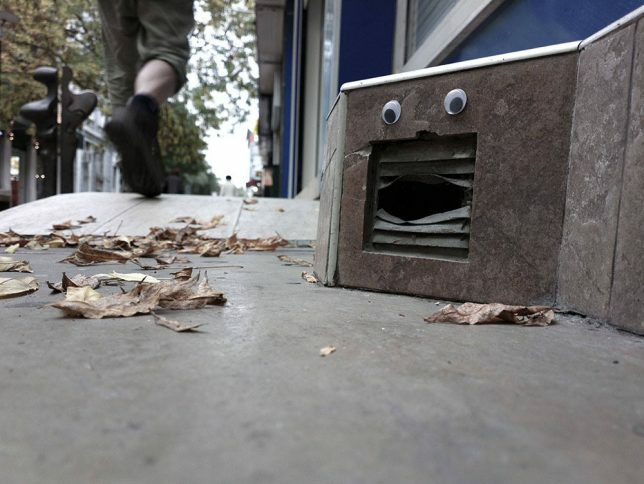 Eyebombing is nothing new (at least as old as the internet and probably as old as ‘googly eyes’ themselves), but always a fun way to lighten someone’s day as they pass by on the street. 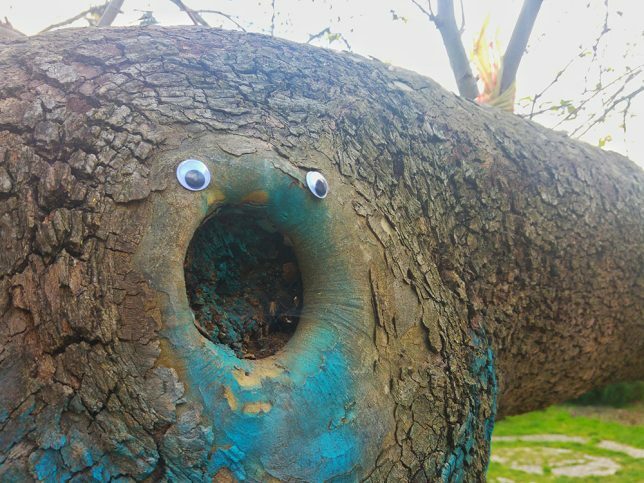 It’s also a form of expression anyone can engage in — very little skill or cash required.